SAT Subject Tests play a big role if you are applying to top-notch universities such as the Ivy Leagues and other top-league universities*. If you are opting for SAT Subject Tests, you will need to be extremely focused with your prep. Manya-The Princeton Review possesses the expertise in coaching for SAT Subject Tests for Physics, Chemistry, Math, Biology and several other subjects**. 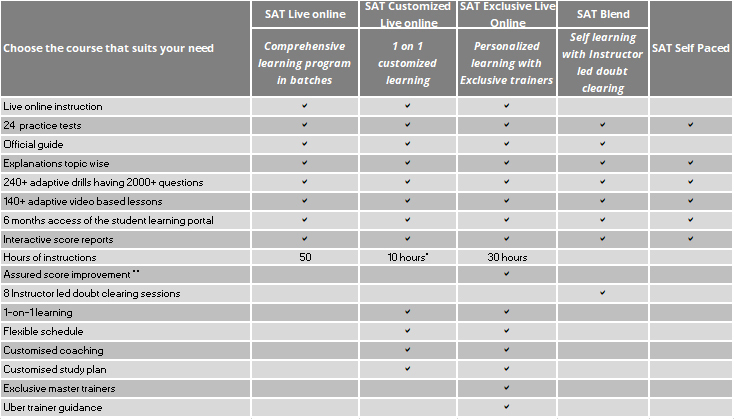 Our SAT Subject Tests Customized course is an individualized tutoring course with an updated courseware for focused preparation for pushing your scores to much higher levels. It is also available in a Live Online mode. We are happy to share that some of our enrolled students have been getting perfect scores on the SAT Subject tests. The best lesson plans are designed on the basis of how you make progress. Our customized prep makes sure that you get to learn from the content that matches your current level and gradually advances to higher difficulty levels.